My first thoughts when entering the Expo hall on Monday morning and gazing at an enormous two-story booth was: “Who is Poly, and why have I never heard of them?” It became evident very quickly that 'Poly' is the new, bold rebranding of Plantronics, post-Polycom acquisition, and they did such an exceptional job at promoting their new brand that by the end of the week the only thing that kept reminding me that they had previously been a different company were the headsets we were giving away. 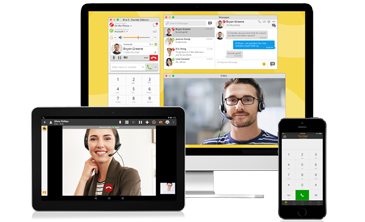 With a corporate focus on “the human experience of communications and collaboration, aiming to make communications as rich and natural as in-person”, Poly hardware and headsets perfectly complement our Bria softphone and Bria Teams UCaaS solutions. This is why we partnered to give away three Plantronics Voyager 8200 UC headsets during the course of the show, much to the delight of our daily draw winners. 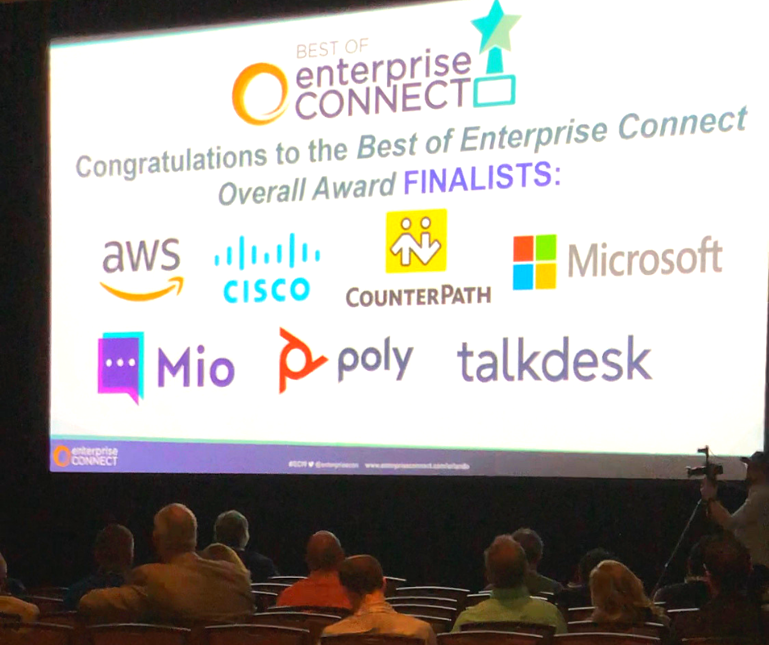 During my tenure at CounterPath, I have seen us win awards for our products, services and even 'Team of the Year', but to be in the same category with AWS, Cisco, Microsoft, Mio, Poly and Talkdesk for the Best of Enterprise Connect Overall Award was more than exciting. While Microsoft Teams ended up taking the top honors, knowing that we ranked among the top of 62 award entries to be a finalist (a record number of entries in the history of Enterprise Connect! ), is an honor in itself. While I didn’t have a ton of time to peruse the show floor with the amount of meetings and demos CounterPath had scheduled, the general vibe of the show was all about innovations in collaboration, interoperability, and the harnessing of data to provide a better user experiences. While these trends weren’t a surprise, chatting with booth visitors about pain points with current deployments, and the use of multiple applications and devices to facilitate workplace communications, made me feel like they had come to the right place. Even attendees who only stopped by to pick up their sticker to complete their EC19 Passport Program or stock up on mints, were quickly drawn into engaging conversations about how CounterPath solutions would solve some of their challenges. They were blown away by our unique capability to simply overlay their existing call infrastructure, enhance with messaging and collaboration services, and supported on any device (including handheld computers). Plus, our interactive demos of Bria Teams and Bria Enterprise, consistently drew small crowds gathered to see our solutions in action. 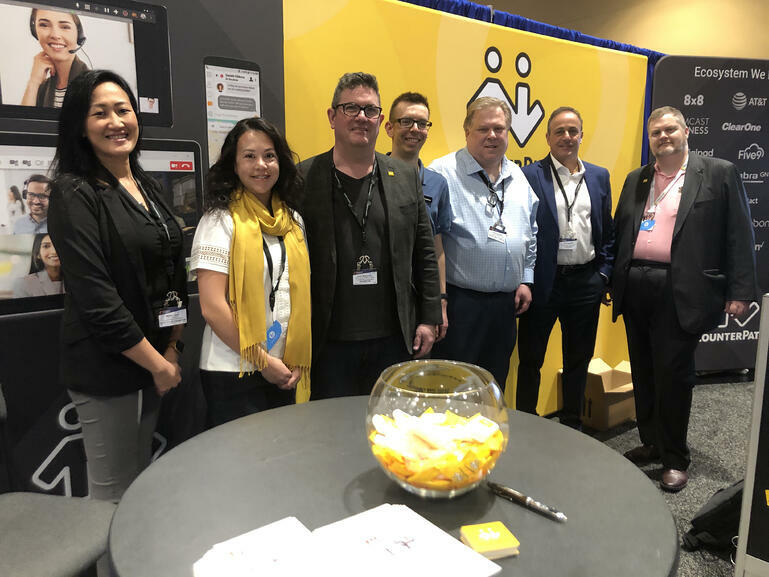 Overall, Enterprise Connect 2019 (or #EC19) was an eye-opening experience for a first-time attendee, but also validating in knowing that we offer solutions that solve real-world communication and collaboration needs for many of the companies attending. I’m looking forward to #EC20 already! 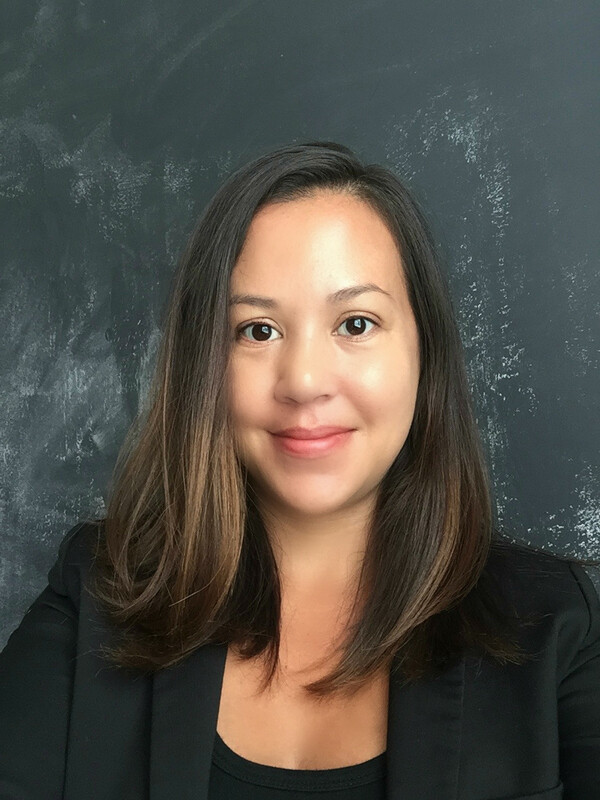 Hanna Miller is a consultant for CounterPath's Marketing team, specializing in content writing, campaign development, product management and digital marketing. Hanna initially joined CounterPath in 2010, spending 7 years as a Product Marketing Manager before taking a brief hiatus and then returning to the team to consult on various projects. Her love for all things marketing, technology and the customer experience makes her the perfect fit in a well-rounded marketing team.